The chairman of the United States Federal Communications Commission has unveiled his plans concerning the future of net neutrality and promised "there would be no rate regulation, no tariffs, no last-mile unbundling” involved. After months of discussion, FCC Chairman Tom Wheeler said in anopen letteron Wednesday that he’s presenting his colleagues with a proposal this week that, if approved by a vote, will bring changes to the way web traffic is governed. 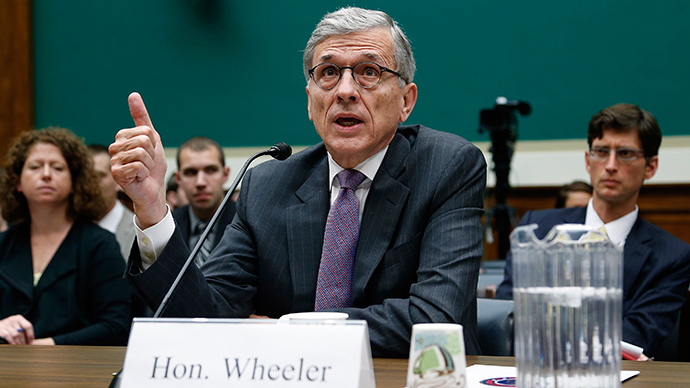 Wheeler says he’s asking the FCC to accept a proposal that would let data delivered over broadband internet be regulated under Title II of the Communications Act, similar to how traditional telecommunications are governed already under law. “To preserve incentives for broadband operators to invest in their networks, my proposal will modernize Title II, tailoring it for the 21st century, in order to provide returns necessary to construct competitive networks,” wrote Wheeler, adding “there will be no rate regulation, no tariffs, no last-mile unbundling” if his plan is approved. “Over the last 21 years, the wireless industry has invested almost $300 billion under similar rules, proving that modernized Title II regulation can encourage investment and competition,” he added. US President Barack Obama is among the advocates who, ahead of Wednesday’s announcement, urged Wheeler to embrace a plan that evokes Title II to protect net neutrality, a concept that calls for all internet traffic to be treated equally. “I believe the FCC should reclassify consumer broadband service under Title II of the Telecommunications Act — while at the same time forbearing from rate regulation and other provisions less relevant to broadband services,” the president said in November. “When the FCC has to defend reclassification before an appellate court, it will have to grapple with these and other arguments,” AT&T’s Hank Hultquist wrote. Verizon and Comcast declined to immediately offer the Journal comment upon publication of Wheeler’s remarks. Opponents of proposals that would have called for weaker net neutrality rules feared such guidelines would let Internet Service Providers give preferential treatment to content depending on the price its creator pays to have it delivered over the web to customers. “These enforceable, bright-line rules will ban paid prioritization, and the blocking and throttling of lawful content and services. I propose to fully apply—for the first time ever—those bright-line rules to mobile broadband. My proposal assures the rights of internet users to go where they want, when they want, and the rights of innovators to introduce new products without asking anyone’s permission,” Wheeler wrote. Fight for the Future, an activist group that has coordinated national demonstrations in support of net neutrality, wrote on Twitter that obtaining Title II protect “was considered a pipe dream” when protests were first organized advocating it. “When you read articles today that say ‘Pres Obama's plan for the net’ don't buy it. This victory was fought & won by activists & web users,” the group said.